When “stainless steel” was invented it was a generic term designed primarily for the cutlery industry for cosmetic reasons. Since then it became a description for many different metals referred to as grades of stainless steel. The grades of stainless steel predominantly fall under four types, groups or even could be described as family’s. "Stainless steel grades" is the way in which we categorize the mechanical properties and production specifi­cations as well as the composition of stainless steel. There is an old three digit number system which is still used for the classi­fica­tion of grades but over time new classi­fica­tion systems have been developed. These grades have an excellent resistance to corrosion and when they are annealed they become non-magnetic. These are great for welding and are extremely hygienic due to their properties they cannot be hardened by heat treatment but have an excellent performance level at low temperatures. Austenitic is arguably the most widely used and popular type of stainless steel the grades within this group include 304 (1.4301) and 316 (1.4404) these are also referred to especially when describing fasteners as A2 (304) and A4 (316). This group of materials have in the past been described as 18/8 due to the combination of Chromium and Nickel usually encompassing 321 (1.4541) meaning any of those three grades were acceptable. Other popular grades are 303 (1.4305) often for round bar free machining, 310 (1.4845) for heat resistance and variants that increase Molybdenum, decrease carbon etc. Ferritic – another very popular group of grades the ferritic terms comes from the fact that there is more Iron with the absence almost always of Nickel. These grades are often used for indoor applications such as kitchenware or areas such as exhausts were cosmetic looks maybe less important. Ferritic’s are often looked at as a cost saving grade, but do in their own right have some benefits this could be strength, resistance to wear or the fact that they are magnetic. Ferritic stainless steels have moderate corrosion resistance but not as great as the Austenitic stainless steels. They cannot be hardened by heat treatment and are not as good for welding. The common stainless steel grades found within this family include 409 (1.4512) and 430 (1.4016). 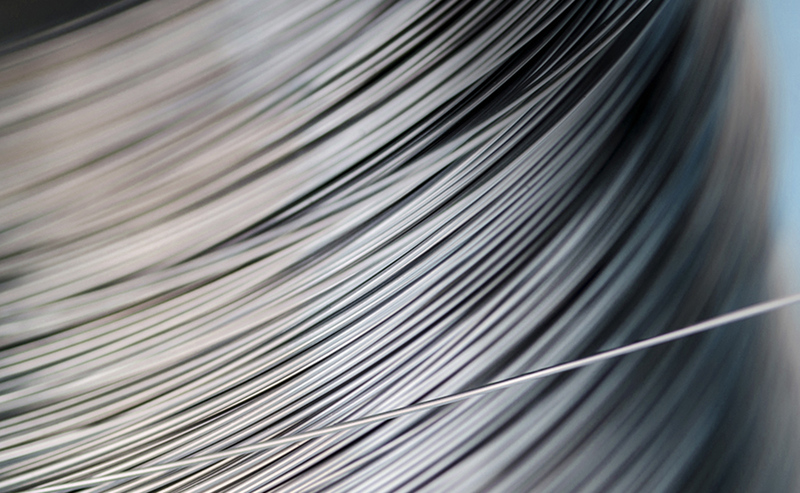 Martensitic – probably the least well know group of stainless steels mostly these can be tempered and hardened due to the addition of Carbon, with the popular grades being 410 and 420 (1.4021) they contain 10.5% minimum Chromium. As a result these grades are popular for products such as blades, knives, scissors, razor and medical tools anywhere were hardness is important. Martensitic Stainless Steels also have a moderate resistance to corrosion but again this resistance isn’t as strong as the Austenitic stainless steels however the Martensitic stainless steels are heat treatable and magnetic but are very difficult to weld. These are the most recent group of materials and potentially the ones offering most growth. The term Duplex comes from the structure of the material that takes elements from both an Austenite and a Ferrite the aim is to create grades that combine these structures to combine the key elements such as strength and corrosion resistance. The result if new grades of stainless steel almost created to offer solutions to industry problems like reducing weight, increasing performance for harsh environments. Duplex Stainless Steels are very similar to the Austenitic stainless steels in that they have excellent resistance to corrosion but in addition they have increased resistance to attacks from chloride. But it gets better Duplex stainless steels have a good resistance to stress corrosion cracking. It has higher tensile strength than Austenitic or Ferritic grades and is good for welding and formability. These grades can be the most confusing as due to brand names there are often several descriptions for the same grade such as 1.4462 also UNS 31803 also 2205 (1.4462) and sometimes just as 318 or 318L but are all pretty much the same material. New innovations and uses are being found all the time, very popular for offshore applications. Precipitation Hardening steels can be both Martensitic, semi-Austenitic or Austenitic and have good to moderate corrosion resistance and are good for welding. These are particularly good because they are both high strength and magnetic.